The Republican Party was founded in 1854 as a coalition to stop the spread of slavery to new states and territories coming into the Union. For a variety of reasons, Abraham Lincoln became their party’s presidential candidate in 1860 and won the election with only 40 percent of the popular votes. At that time the Republican Party was divided into three parts: Radical, Moderate and Conservative. The Moderates mediated between the Radicals and the Conservatives and, like the Democrats, the Conservatives would be content to return to the pre-war status. Lincoln was a moderate, married to the idea of gradual change and unwilling to punish the South too harshly. However, he was assassinated in 1865; he was replaced by Andrew Johnson, who supported Lincoln’s views. Contrary to Johnson’s policies, the Congress with a Republican majority was committed to Reconstruction and was able to pass many laws supporting the rights of ex-slaves. Ulysses S. Grant was elected in 1868 and again in 1872, but his terms were characterized by corruption and questionable policy. With Southerners gaining strength and independence and what is called the Compromise of 1877, the efforts on the part of Republicans to champion the rights of African American people died and Reconstruction as a policy died. Rutherford B. Hayes was elected president in 1877 and withdrew federal troops from the South, which brought Reconstruction to an end. Did this period following the Civil War and with the advent of Reconstruction have any measurable effect in Wilmington and Clinton County? To answer this question, I scoured the local newspapers and found that there is clear evidence of heightened activity and hope on the part of local African American people. On Aug. 8, 1872 the following article appeared in The Wilmington Journal: “The Meeting of the colored citizens of our county, at the Fair Grounds … was well attended. A large procession was formed, headed by the colored band, and under the leadership of Corwin Doan, marched through our principal streets and west on Main street to the Fair Grounds. Grant and Wilson were the Republican candidates for president and vice president,respectively. It is very clear that the African Americans of Wilmington were committed to the Republican Party and felt free to express their recently won freedom. Another indication of this commitment to the GOP and public involvement in the political process was the public expression of their activities and its coverage in the local newspaper. The person for whom the African Americans of Clinton County in 1884 were so committed was John Sherman, who was running for (and won) an Ohio Senate seat. The popularity of Sherman was due to his general support for freedmen. This support led to the establishment of Sherman Clubs which, to some extent, was racially integrated. 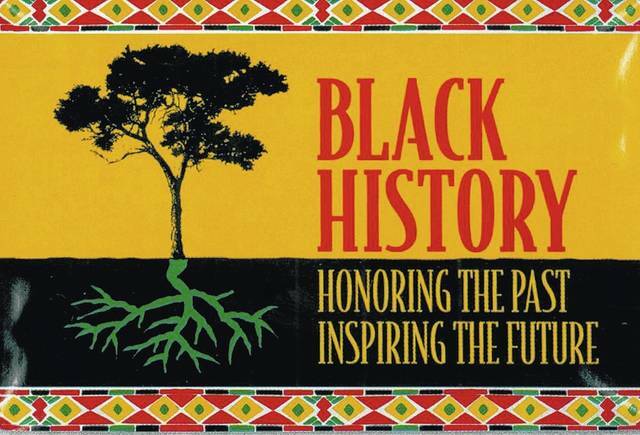 The most prominent African American man in Wilmington at that time was J. R. Hawley, who will be featured in the next article for Black History Month. Neil Snarr is Professor Emeritus of Wilmington College.